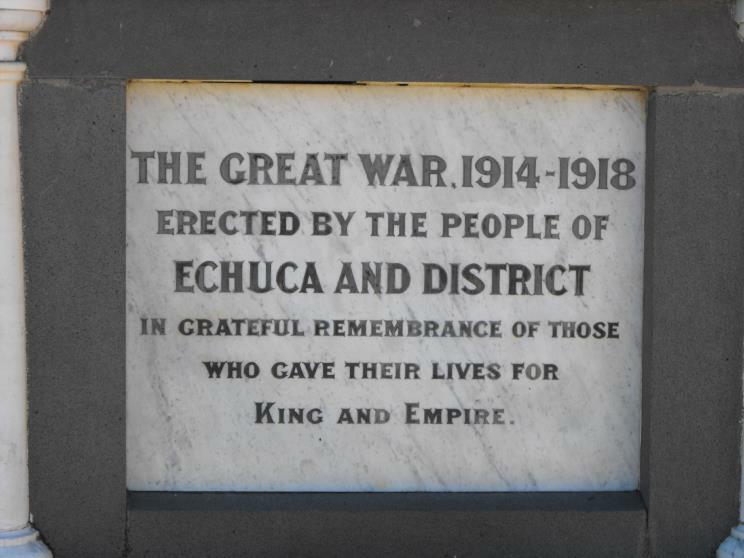 The Echuca War Memorial located in the Murray River Town of Echuca in rural Victoria. 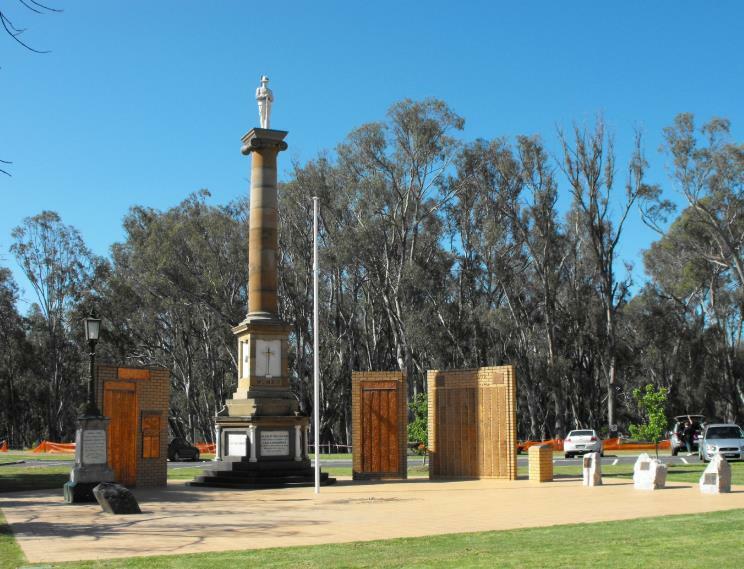 This comprises several individual memorials centred around the memorial to the Great War. 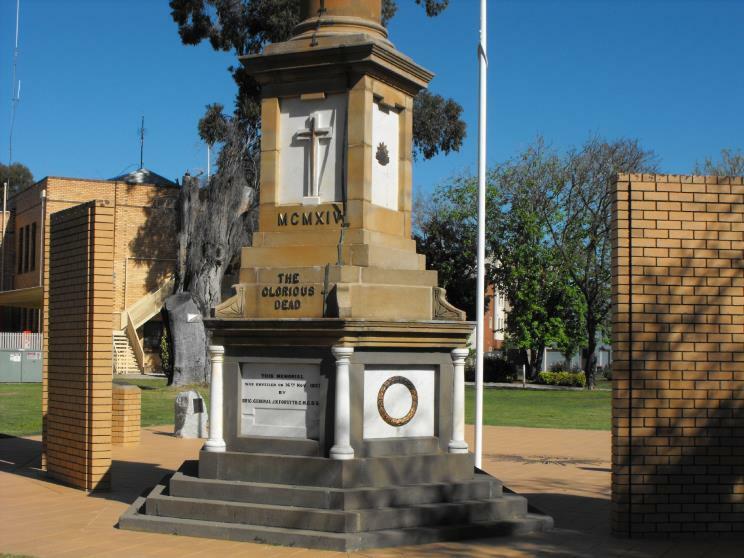 A separate memorial (seen at left) commemorates the South African War of 1899 - 1901 (Boer War) and these are contained within semi circular wall sections on which are listed those who served during WWII of 1939 - 1945. Beside these there are smaller memorial plaques for the following: Australia Remembers, the 50th anniversary of VP day HMAS Echuca, a RAN Corvette RAN ships' commitment to the Far East Strategic Command Vietnam veterans and the Battle of Long Tan National Service memorial. The dedication on the Great War Memorial. The back side of the Great War Memorial. 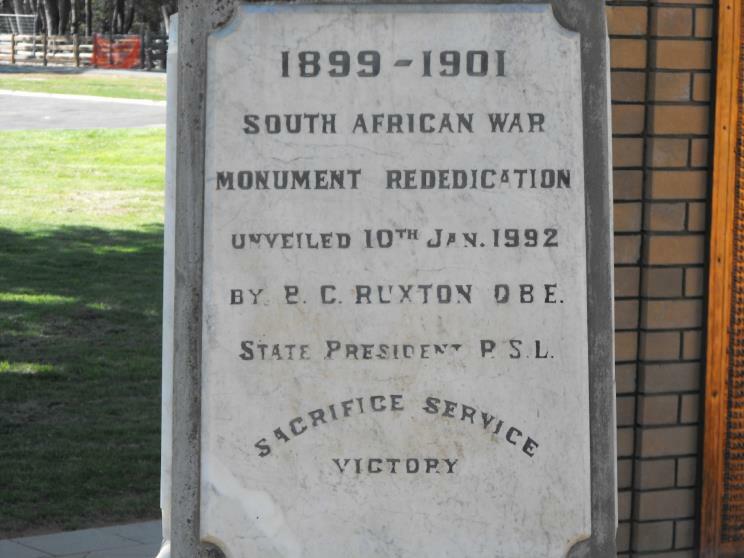 Close-up of the South African War (Boer War) Memorial. 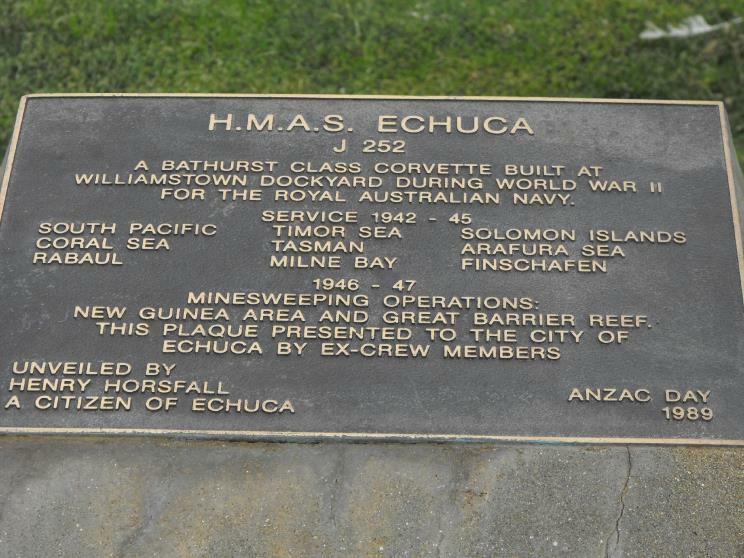 The HMAS Echuca Memorial plaque.